Being conscious of where your food comes from these days is becoming more and more important to lots of people. It’s not just about some hippie-dippie Portlandia crap, it’s about supporting small, local businesses; farmers who have been operating farms for generations. Here in Pennsylvania, that’s one of our biggest points of pride – just look at Lancaster County! And lots of restaurants these days are making it a point to partner with local farms and markets to get the best and freshest ingredients. 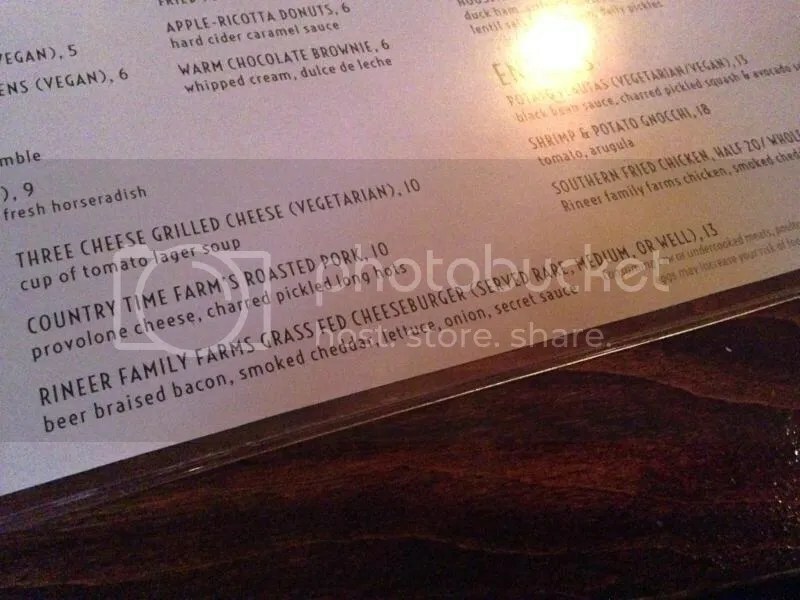 Case in point: South Philly Taproom, who partners with Rineer Family Farms (part of the Lancaster Farmland Trust) for several items on their menu, including their burger! I’ve tried their breakfast burger before, but came back this week for the regular burger as part of an event sponsored by Daryl Rineer to showcase the farm’s products and educate patrons. 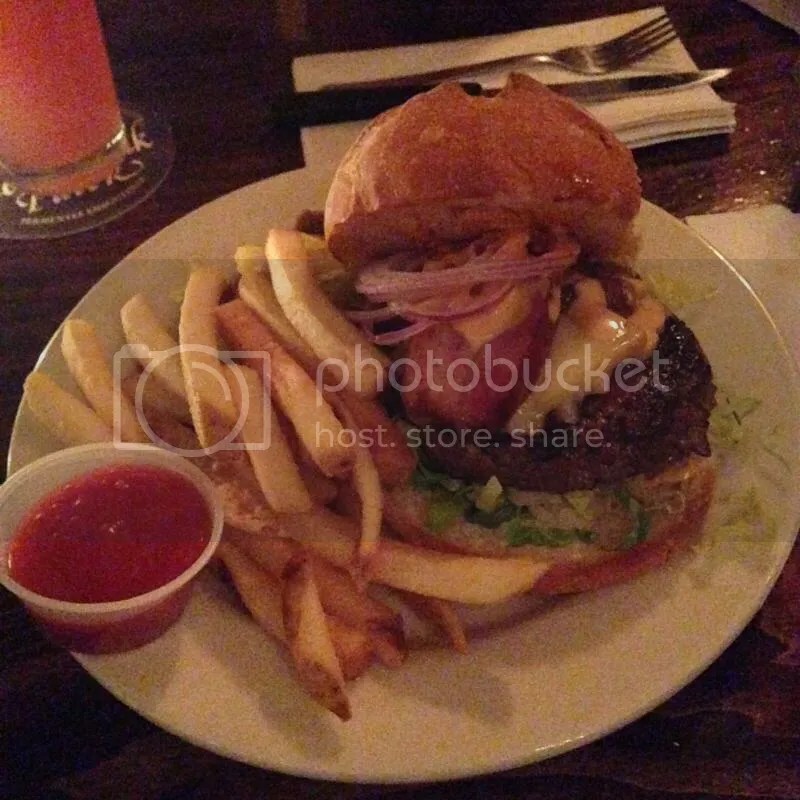 Everything about the burger was great. Even though I ordered mine medium (they only give you 3 options – rare, medium, or well), it came out on the medium-well side. Understandable as there were many people there for this particular event so cooking up a lot of burgers at once can be a challenge. I loved the thick-cut bacon on top (my dining partner didn’t even eat all of his so I had to steal more, it was so good) and the smoked cheddar. It was just an all together, tasty and well-rounded burger. And it tasted even better since I knew that the meat was coming from some place nearby and not sitting in a warehouse in god-knows-where after being pumped full of hormones and preservatives! In addition to the burger, the chicken used for the Southern Fried Chicken, Brussels sprouts, and even the jam for the Taproom’s infamous Fried PB&J all come from Rineer Family Farms! 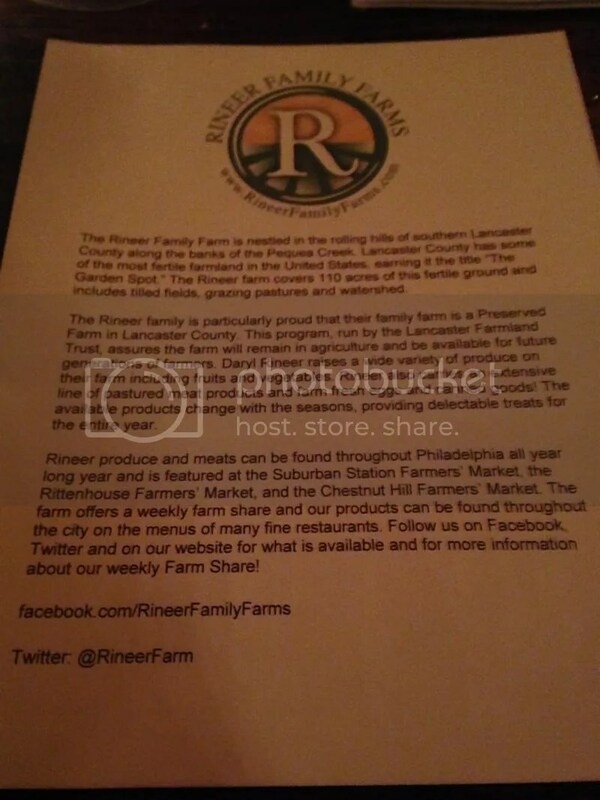 I was also excited to learn that Rineer does a CSA, which can be picked up at several locations around the city including 12th Street Gym and the Rittenhouse Square Farmers Market. Now I can enjoy these delicious burgers right at home! Posted in bacon, burgers, cheddar, cheese, Lancaster County, local, Rineer Family Farms, South Philly, South Philly Tap Room. Bookmark the permalink.